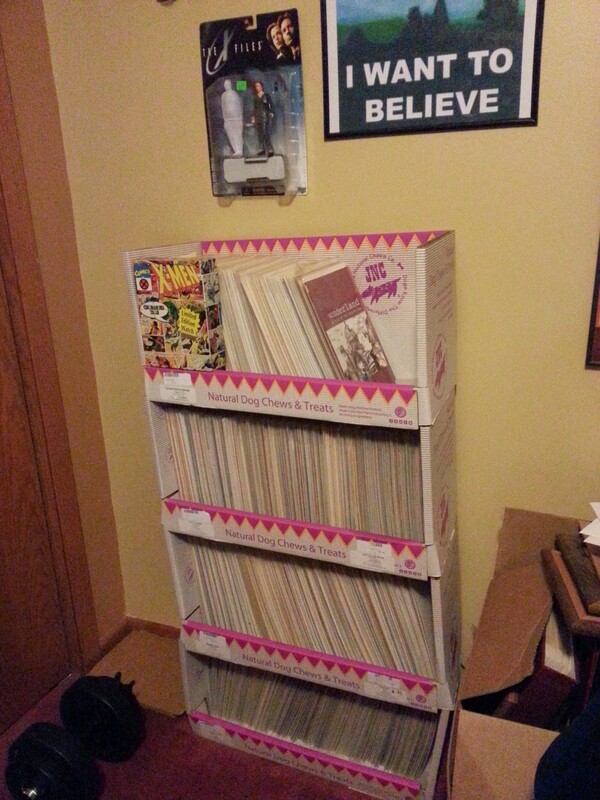 So as it turns out if you work in the pet food industry you have access to the perfect comic book shelves. After rearranging products the other day I was about to stomp these boxes and toss them into the recycling when I realized they might serve a new purpose. So on my break I decided to load them in my car and set them up at home in my office. With the exception of them smelling slightly like pizzle (look it up), they worked perfectly. 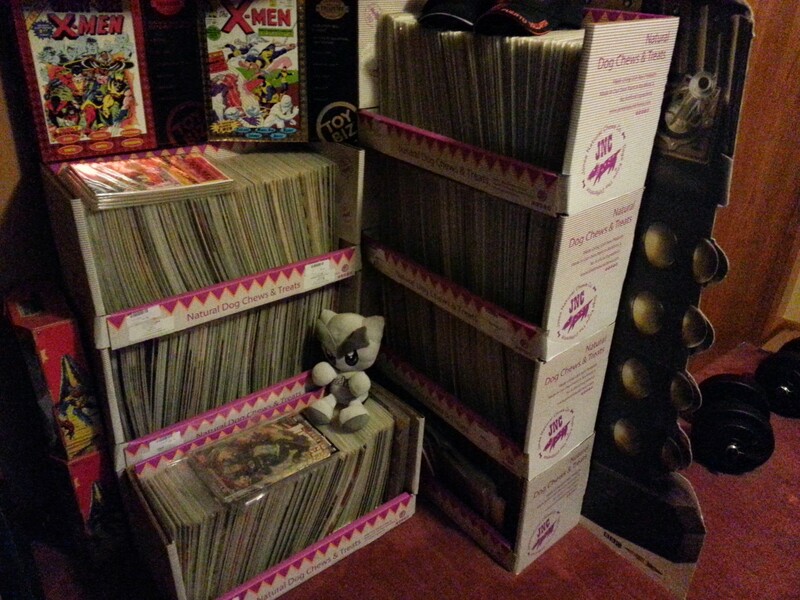 I did find that the bottom box gets crushed under the weight of the three boxes on top, so I down-stacked a few. I think I might have to decorate the sides with some posters or something, what do you think? Thanks! Just one of the many new nerdifications recently made to my office.